When it comes to tensioning a door we have the CarTeck DRIVE lifter that is used as a temporary motor. 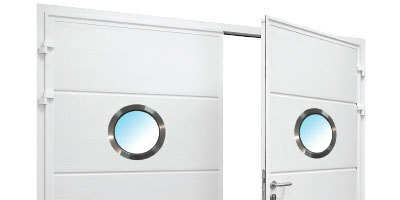 It has enough grunt to lift even a double door without springs. 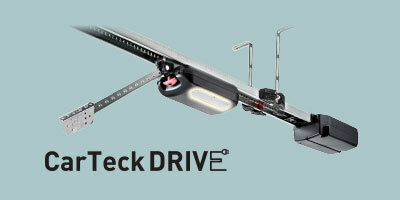 ...OR use the CarTeck DRIVE lifter. Install the door ready for tensioning, fit your CarTeck DRIVE using the Lifter head as a temporary motor and power-raise the unsprung door ready for tensioning. Safe and simple. At Teckentrup we only make a claim about the performance of a product if we have independent certification. 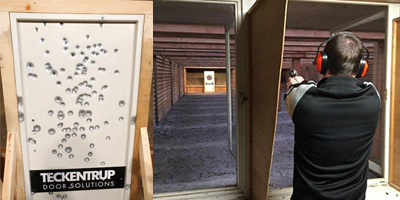 Our Bullet proof doors are fully tested and certified to DIN EN 1522, Class FB 4.